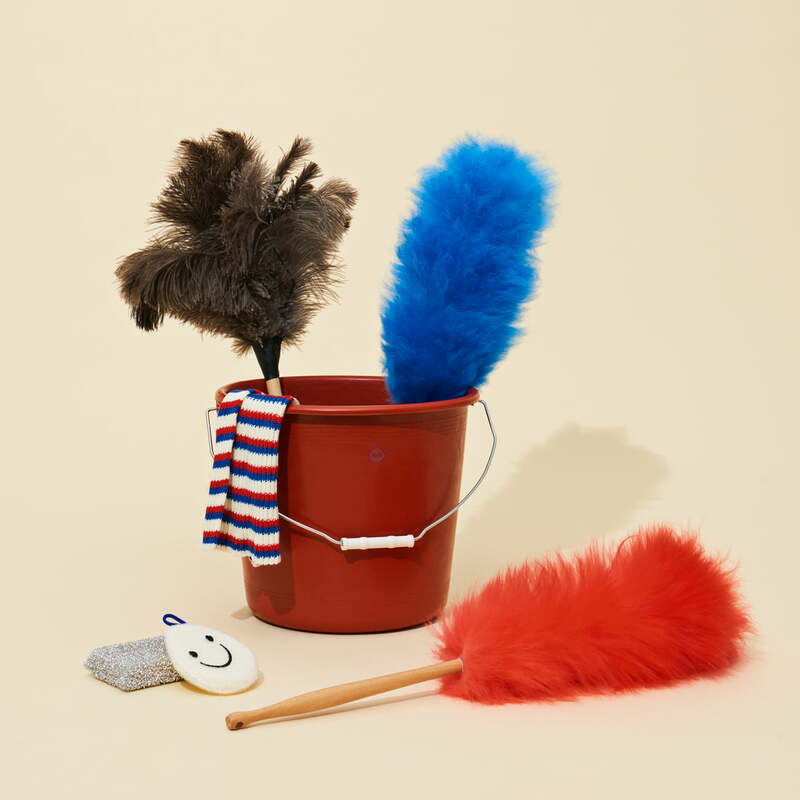 With the Hay Duster you can remove dust and cobwebs in every room. 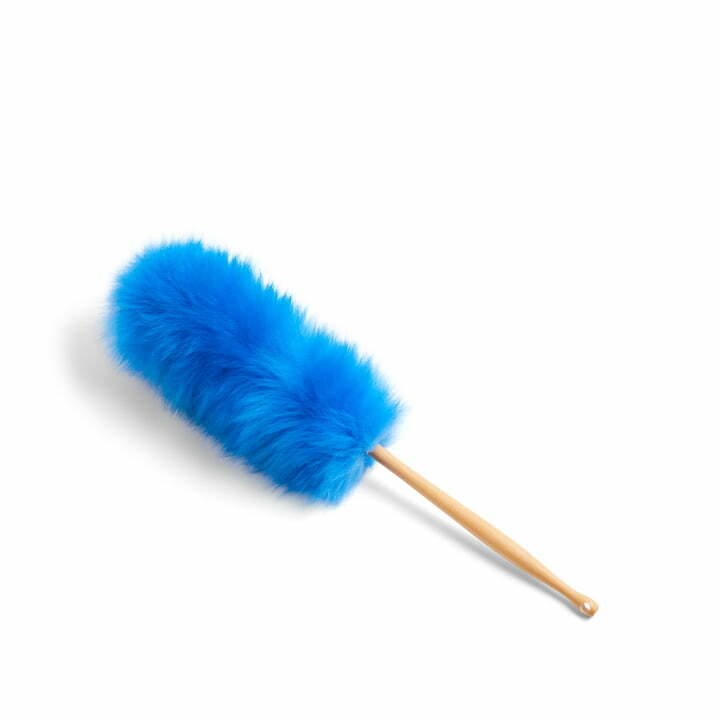 The duster consists of a slim handle made of beech wood and a thick fur made of merino wool. The long handle fits perfectly in the hand when dusting and has a hole at the end where the duster can be hung up after use. The merino wool is dyed in strong colours and is therefore not only a practical utensil for domestic use, but also provides an eye-catcher in the bright colours.